The fancy name for a car’s centralized dashboard screen system is “infotainment” which reflects the fact that these systems are designed to fulfill multiple roles. However, in their current incarnation they are not meeting customer’s needs. The reasons for this are many and varied. Some systems don’t do a good job of connecting to the driver’s cellphone. Glitches which cause a display to crash have also been reported. Additionally, voice recognition does not always work the way that it should. None of this would look good on a product manager resume. Customer’s frustrations are being reported to auto dealers and to auto reviewers. These problems are a bit surprising because the auto product manufactures have been trying to create car systems that work just like their customer’s popular handheld electronics. Problems with dashboard technology is starting to become a friction point with the people who buy cars. 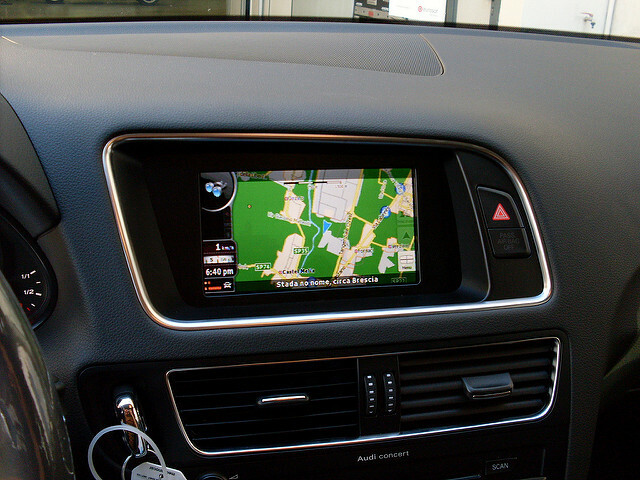 The areas that are having the most problems in new cars have to do with audio, navigation, and voice recognition. These problems are dragging down a car’s dependability scores. One way that the product managers are trying to keep customer’s happy is by offering them free software upgrades once new versions of the software become available. One of the biggest challenges that the car manufactures are dealing with is the fact that there are not enough software engineers to work on these complex systems. The car makers are in an arms race with Silicon Valley companies to hire the best and the brightest. As an example, Tesla recently announced that they will be adding hardware to future vehicles that will allow them to fully drive themselves. Car manufactures are also facing completion from the likes of both Apple and Google. Shoppers are starting to look for systems from these manufactures that will allow them to easily pair their smartphones with their car and then will allow drivers to interact with familiar home screens on their car’s system. One of the biggest challenges that the auto product managers are dealing with is the fact that phones get updated quite frequently and an incompatibility between a phone and a car can cause the car’s dashboard screen to crash. In the world of cars, it can take up to three years to develop a new car. This means that car product managers have to struggle to incorporate new technology into their latest cars. Customers are starting to demand over-the-air software updates instead of being required to visit a car dealership in order to get the latest software installed. Car product managers are trying to accommodate this need by adding Wi-Fi capabilities to their cars. The heart of a modern car is its dashboard screen. A great deal of the car’s functionality has now been moved to this new infotainment system. However, as this complex system has been placed in more and more cars, customers are starting to complain that it does not always work the way that it should. No matter what’s on their product manager job description, this is causing problems for auto product managers. The problems that customers are complaining about include not syncing with their phones, displays that crash, and voice recognition systems that can’t understand what they are saying. One reason that these systems are having such a tough time working correctly may be because mobile phones are updated much more often than car software is and this may lead to incompatibilities. Auto product managers are attempting to deal with this situation by making it easier to update a car’s software using over-the-air systems and adding Wi-Fi to cars. The value of a high-quality infotainment system is clear to all of the auto manufactures. However, how to create a system that can keep up with the fast changing world of mobile phones is still a challenge for them. It appears that they are on the right path in adding wireless updating capabilities to their cars, now they just need to ensure that they are also delivering high quality software! Question For You: Do you think that it is possible to to put too much functionality into a car’s infotainment system? I can’t actually tell you if it would be one of the best product management jobs to have, but I can tell you that it would certainly be one of the most delicious. What am I talking about? I’m talking about being a product manager who works for YUM Brands. You know, the company that owns the Pizza Hut, Taco Bell, and KFC brands. It turns out that the world of fast food that these folks live in is undergoing a great deal of change and that means that these product managers have to scramble to change their product development definition and keep up.